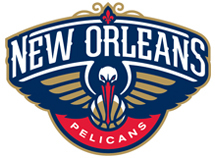 Bid on exclusive experiences at the 2019 Hancock Whitney Zoo-To-Do Auction in partnership with the New Orleans Pelicans! The online auction features outstanding sports packages, staycations, dining experiences, jewelry, and more. As a Zoo-To-Do auction participant, your contribution will celebrate Audubon's conservation efforts for giraffes. Check back and bid online after April 19. Head out on the road with the New Orleans Pelicans for a two-game road trip. The package includes airfare for two on the team plane, accommodations at the team hotel and tickets to two away games during the 2019-2020 season. 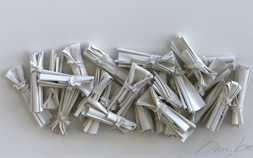 Sambucus-Alluvuion Series, 2019 original piece by renowned artist, George Dunbar. Canvas bundles, acrylic paint mounted on canvas. Artwork measures 25" x 31" with frame. Mr. Dunbar generously donated this piece in memory of the late Mrs. Kitty Duncan who was an influential part of Audubon Zoo history and the Zoo-To-Do fundraiser. 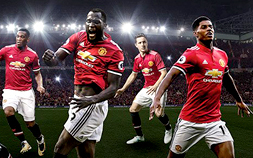 This once-in-a-lifetime experience with Manchester United includes two-night accommodations at the team hotel, a private tour, and exclusive Sir Bobby Charlton Stand game seats at Old Trafford during the 2019-2020 regular season. You’ll have the opportunity to meet members of the first team squad at the Aon Training Complex, take home an autographed Manchester United jersey, and much more! 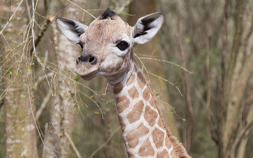 Meet Audubon's growing herd of giraffes and other endangered species like bongo and okapi during an exclusive forest safari through Freeport-McMoRan Audubon Species Survival Center located in Lower Coast Algiers. You and four guests will experience Audubon's conservation efforts in action during a private tour of our Species Survival Center, which is closed to the public. We've made registration, bidding and checkout easy. Everything can be done from your smart phone! You can bid from your computer, smart phone, or tablet prior to, during and after the event. If you don't have a smartphone or tablet to bring to the event? We'll have attendants with iPads at each auction board helping you make your bids throughout the evening.